Honey Standards Varies with honey type/grade required and health requirements of destination country. Specifications All varieties of MGO (Methylglyoxal) Manuka honey both monofloral and multifloral. 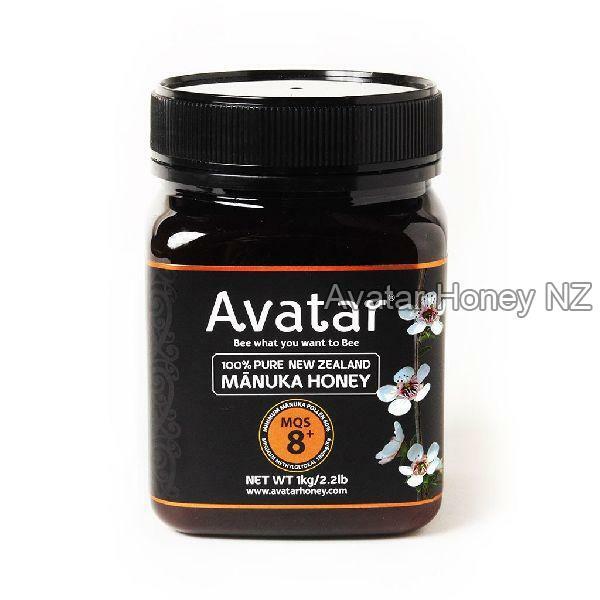 Avatar Honey specializes in the manufacture of NZ manuka honey. We are a vertically integrated company, who own and operate our own beekeeping and honey production business. Avatar operates under a NZ Government registered and audited Food Risk Management Program employing HACCP principles and we are a registered exporter of NZ bee products. We are able to export to any destination in the world. Avatar has bulk supplies of all types and activity levels of manuka honey to suit your specifications: (MGO, NPA/UMF, Leptosperin, MQS, Mono-floral, Multi-floral etc). We also have supplies of other floral varieties of NZ honey, both native forest varieties and wildflower/clover varieties. We can test for all your specification requirements at independent accredited laboratories widely used by the NZ honey industry. If you need genuine NZ manuka honey please allow us to quote for your requirements. We can arrange for LCL or FCL consignments of bulk (300kg) drums or we can arrange for our honey to be packaged under your brand here in NZ. Minimum manuka pollen concentration 50%. Avatar 5 Plus / 100+ MGO Manuka Honey contains over 50% manuka pollen, is independently certified at over 100MGO (mg/kg dietary Methylglyoxal). It has that unmistakable stunning manuka honey color and flavor.Avatar's 5 Plus / 100+ MGO Manuka Honey is a honey that has a dominant manuka fraction but also has multifloral properties where the bees have foraged on not only manuka trees but other surrounding flowers from other native plant species. This creates a natural manuka blend that contains manuka honey as its main component and a certified 5 Plus / 100+ MGO Manuka Honey. Avatar 8 Plus / 180+ MGO Manuka Honey is harvested from the coastal manuka forests of the Wairarapa province in New Zealand. This honey contains over 60% manuka pollen, is independently certified at MGO180+ mg/kg dietary Methylglyoxal. It has that unmistakable stunning manuka honey color and flavor. Avatar's MQS8+ Manuka Honey is a honey that has a dominant manuka fraction but also has multifloral properties where the bees have foraged on not only manuka trees but other surrounding flowers from other native plant species. This creates a natural manuka blend that contains manuka honey as its main component and a certified 8 Plus / 180+ MGO Manuka Honey. 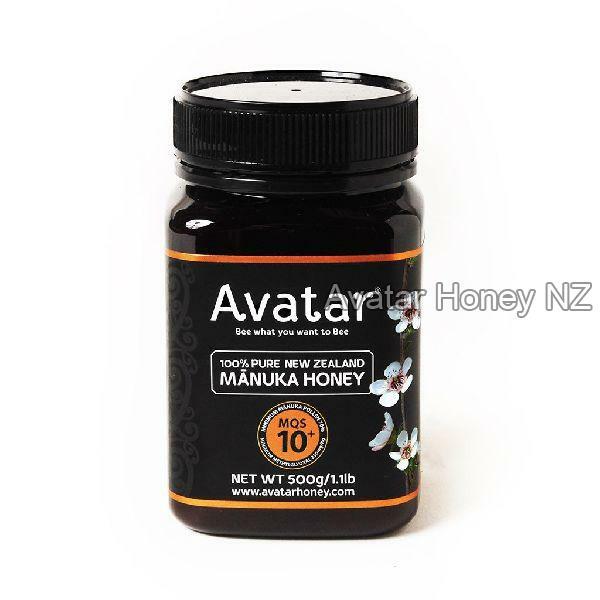 Avatar MQS 10+ Manuka Honey, harvested from the coastal manuka forests of Wairarapa, New Zealand. Avatar MQS10+ Manuka Honey contains over 70% manuka pollen, is independently certified at 10 Plus / 250+ MGO Manuka Honey (250mg/kg dietary Methylglyoxal) and has that unmistakable stunning rich color and flavor that lets you know its Manuka as soon as you taste it. 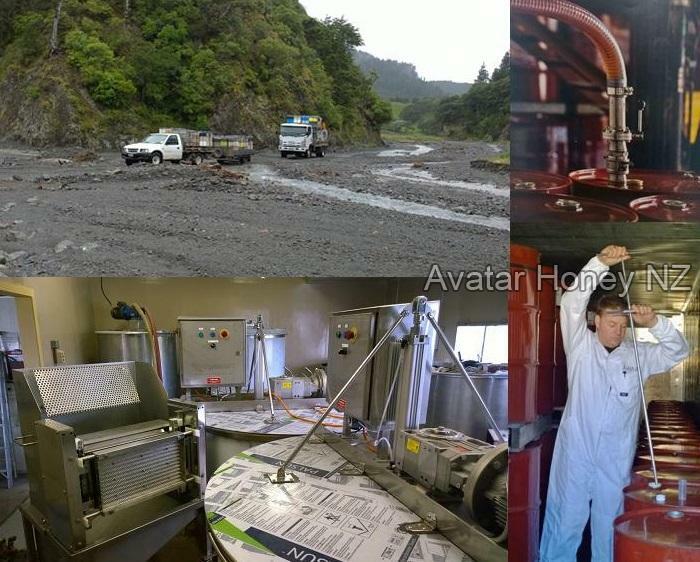 Avatar 12 Plus / 350+ MGO Manuka Honey is harvested from the coastal manuka forests of Wairarapa, New Zealand. Avatar 12 Plus / 350+ MGO Manuka Honey contains over 70% manuka pollen, is independently certified at over 350MGO (mg/kg dietary Methylglyoxal ) and has that unmistakable stunning rich color and flavor that lets you know its Manuka as soon as you taste it. 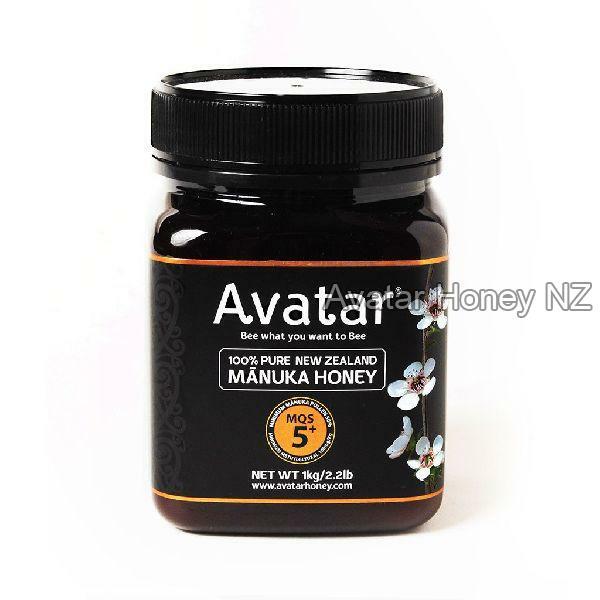 Avatar 15 Plus / 500+ MGO Manuka Honey, harvested from the coastal manuka forests of Wairarapa, New Zealand. Avatar 15 Plus / 500+ MGO Manuka Honey contains over 75% manuka pollen, is independently certified at over 500MGO (500mg/kg dietary Methylglyoxal ) and has that unmistakable stunning rich color and flavor that lets you know its Manuka as soon as you taste it. Avatar 18 Plus / 700+ MGO Manuka Honey is of the highest quality. This is a true monofloral manuka honey. Avatar MQS18+ Manuka Honey is over 80% manuka pollen and has been carefully aged in a controlled environment to produce a honey that is independently certified at 18 Plus / 700+ MGO Manuka Honey (mg/kg dietary Methylglyoxal) making it a very strong antibiotic honey with excellent medicinal properties. 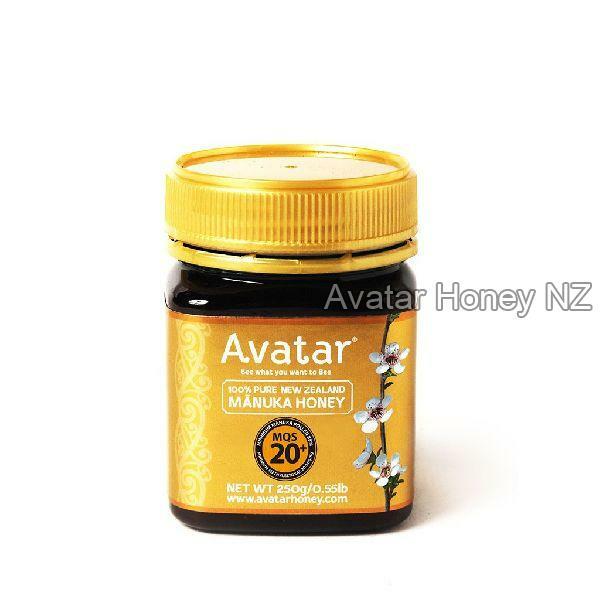 Avatar 20 Plus / 800+ MGO Manuka Honey is of the highest quality. This is a true monofloral manuka honey approaching the highest manuka purity possible at over 85% manuka pollen and has been carefully aged in a controlled environment to produce a honey that is independently certified at 20 Plus / 800+ MGO Manuka Honey (mg/kg dietary Methylglyoxal) making it a very strong antibiotic honey with excellent medicinal properties.